When first it arrived in theU.S., Kia carved out its niche doing passable knock-offs of Japanese vehicles. 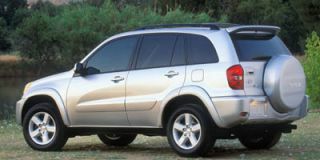 The Sportage SUV was one of the Korean company’s first models, on sale in 1995, and was one of its dependable sellers until the whole company was swallowed by Hyundai earlier this decade. 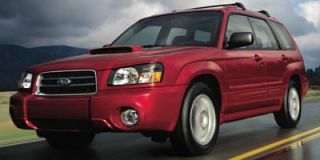 It wasn’t the best vehicle in its class, but it was among the least expensive — and that won over plenty of buyers. In the interim, a lot happened to Kia. Their cars got bigger, plusher, and a lot better. 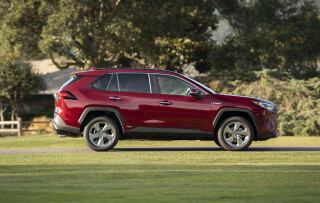 The same happened for its SUVs: the Sorento arrived with all the goods found in an Explorer. But for two years, the Sportage went incognito. What was happening? The Sportage was busy transforming itself from a tiny trucklet into the more sophisticated, semi-crossover SUV you see here today. It’s made the move to front-wheel drive (or four-wheel drive), and now shares an architecture with the similar but not identicalTucsonfrom Kia’s corporate cousins. 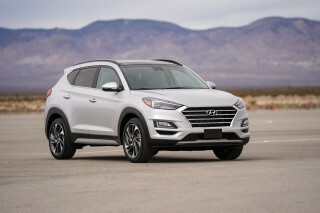 Both are derived from the current Kia Spectra’s floorpan; theTucsonhas been on sale since late last year, while the Sportage is just arriving in showrooms, delayed mostly because it’s so popular inSouth Korea. 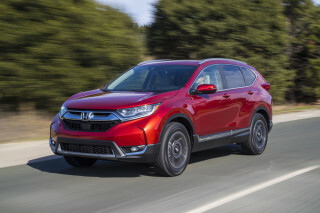 In the process, it’s become a far more formidable competitor for the likes of the Honda CR-V, Jeep Liberty, and Ford Escape. Not only does it outsize them in many ways and underprice them, too, the Sportage outclasses them in terms of interior sophistication. It seems odd to write at first, but the Kia is clearly the ritziest vehicle in its class, and one of the best all around. The mission of the new Sportage, according to Kia, was to be smooth on the road, capable off-road, and roomy enough to take stuff to both places. 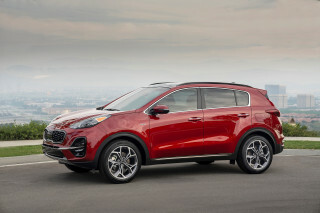 The new Sportage has moved up in size from the flyweight class into the middleweight ranks. It’s nearly the length of a Jeep Liberty in wheelbase, and longer in that dimension than the Ford Escape and Honda CR-V. In overall length, though, it’s shorter than all of those competitors. Three models are offered: the LX with the four-cylinder; the LX V-6 and the EX V-6. The two powerplants offer up a fairly narrow band of power options. The four-cylinder churns out 140 hp while the V-6 makes 171 hp. As you can guess, there’s more aural difference than seat-of-the-pants difference between the models, with the supple growl of the V-6 and its added torque worth the extra money. The four-cylinder can be had with a five-speed manual, but the V-6 only comes with a four-speed autobox with Sportomatic semi-manual shifting. It’s smooth but a little slow to downshift, as the engine spins to the right matching speed. Four-wheel-drive with a locking differential can be had as an option on all models, and it’s that locking diff plus a skid plate up front that makes this ute more usable than, say, the CR-V in off-road trail riding. The Sportage’s suspension isn’t some exotic concoction, just A-arms and McPherson struts in front, struts and a trailing link in back. Clever design endows it with a tight turning circle of about 35 feet and a smoothly composed ride, with just a few hints of SUV truckiness. The steering probably suffers most in that respect — not wandery or loose, but typically four-wheel-drive vague on center. The Sportage’s brakes are discs all around, with 215/65R-16 tires on four-cylinder models and 235/60R-16s on 4x4s. The brakes feel strong and progressive. The Sportage also will tow a decent weight —1500 lb with four-cylinder models, 2000 lb with V-6 versions. Kia calls the look “tailored.” Sedate is more in keeping with its company; theLibertyand Escape are far more off-road-looking — more butch? — while the CR-V is city-shuttle smooth. It’s inside where the Sportage shows off its upscale duds. Though the plastics can be hard, everything seems textured well and fitted fine, and the metallic trim on the center stack lifts the Sportage’s cockpit above all in its class. The front seats, too, feel richer than a $20,000 SUV has a right to offer. As for cargo, the Sportage is a capable carrier. There’s nothing exotic in its configuration, but the Sportage does all the right things and has all the right moves when it comes to transporting your goods. The tailgate has a separate flip-up window, and opens hatchback-style, with a grip handle on the inside of the tailgate for closure when you need it. Even if you’re just riding in the back, you’ll feel at ease. 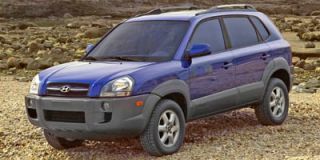 There’s adjustable rake on the rear seatbacks, and those fold-flat front seatbacks mean you can turn the Sportage into a leather-lined love den at the drive-in movie — or just bring along a portable DVD player to the Wal-Mart parking lot. The seats themselves are pretty comfy for adults even when upright. 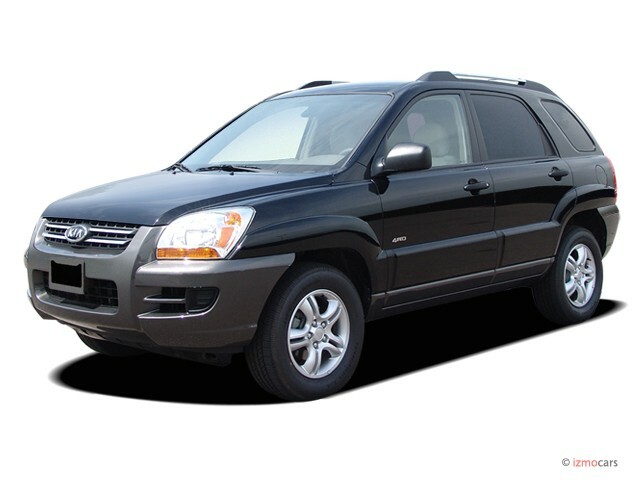 Throughout the Sportage’s cabin, you’ll find nooks and crannies to store CDs, wallets, cell phones, fast food, and pets. The cargo area has a bunch of hooks and straps for tying down Costco finds. And the center console is one of those multi-bin units that somehow puzzles together a flat bin, a deep bin, and a cupholder into less space than a toaster oven. We like it, even though we’re still trying to figure out all its uses. Safety equipment is class-leading. Six airbags, traction control, stability control, and anti-lock brakes all tied together with a computer that coordinates them all like Donald Trump coordinates the three original hairs remaining on his scalp. Pricing begins from $16,490 including $590 in destination charges. 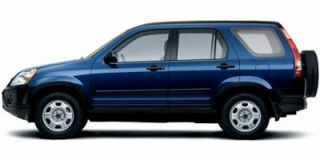 That’s for the front-drive, four-cylinder, five-speed-manual Sportage with no A/C. 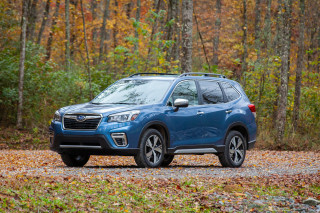 For a base automatic front-driver, it’s $18,090; the base 4x4 LX five-speed manual is $18,490; and the toppermost EX 4x4 automatic is $21,990. Air conditioning is standard on all vehicles except the four-cylinder front-drive Sportage, which Kia says gets its strongest sales in the Pacific Northwest, where A/C isn’t a necessity. Options are few. 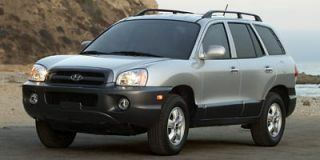 The luxury package for EX models includes heated leather seats, automatic headlights, and a six-disc in-dash CD changer that can also read MP3s, HomeLink and body-color bumpers, all for $1300. Leather is a stand-alone EX option for $800. Kia’s progress in developing cars and trucks suited to the U.S. has been astonishing. The Sportage is just the latest in a new group of Korean-made vehicles that may not have the heritage and zip of a Jeep or the utter slickness of a Honda, but offer all the basics at a better price. The Sportage is a decently capable SUV than happens to be far more useful on road than off. It’s a magnitude difference from the old version — and with the market leaning away from SUVs, it’s a step squarely in the right direction.